How will divorce immediately impact my finances? Divorce is a very difficult time for all parties involved, whether that’s you, your partner or your children. Separation can have a heavy emotional impact, especially if there isn’t much agreement on arrangements for finances and children. Unsurprisingly, worries about finances will be at the forefront of your mind. 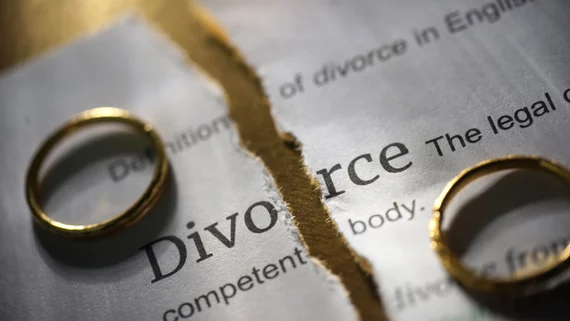 You’ll want to be assured that you can continue to provide for your family following a divorce and that things will continue to be as stable as possible. The last thing you want to do is to get into debt. Here are some key pieces of advice on how divorce may affect your finances. Will I be able to continue paying my bills? Ensuring that your monthly bills will continue being paid is your first priority. It may not always be possible depending on the circumstances of the divorce and the level of civility between you and your partner, but try to keep everything as it is for now. This means keeping banking arrangements the same, such as if you have a joint account, and agree that the bills will continue to be paid as normal. If your partner changes banking arrangements without your knowledge, a solicitor is likely to become involved, which further adds to the expense. If you can come to an agreement to carry on as normal for now, it’s best for everyone. Of course, if your partner has moved out and now has their own expenses, these will need to be discussed and planned for accordingly. Whatever you agree on, keeping things stable and not making big changes early in the divorce process, is best for everyone. How do I avoid debt? With the possibility of two sets of expenses now having to be paid for, especially if your partner has moved out, money can be tight. It’s important that you and your partner be very careful with your expenditure. Create a budget that you both agree to stick to, and agree on who will pay for what. It’s easier said than done, but try to minimize further debt, such as racking up charges on a credit card. Issues over debt can cause arguments to occur, which may eventually involve solicitors that end up incurring further debt for you and your partner. If you’ve agreed and followed a financial plan for the outset, it will be much easier for both of you and your family. As you are married, both you and your partner have a right to live in the matrimonial home. If the home is in your partner’s name, you can still exercise that right by registering a notice or restriction. This is especially important to do if you think there’s any risk that your partner may try to sell or remortgage the home. After you have your initial finances sorted, it’s time to start planning for the longer term future. You and your partner will need to make separate “financial disclosures” that include all your financial information and should be exchanged with your partner. You can exchange this information informally, or you can go down the formal route of mediation, collaborative law or divorce solicitors, who will negotiate the terms of financial agreements on your behalf. If matters have to go to court, Form E will have to be completed by you and your partner. This is a convenient way of gathering together all your financial information, and it can even be used if you don’t plan on going to court. However, you decide to deal with your financial arrangements is between you and your partner. But seeking the advice of a divorce solicitor is the best way to get an understanding of your legal rights.